Juvenile. Leonis phase. 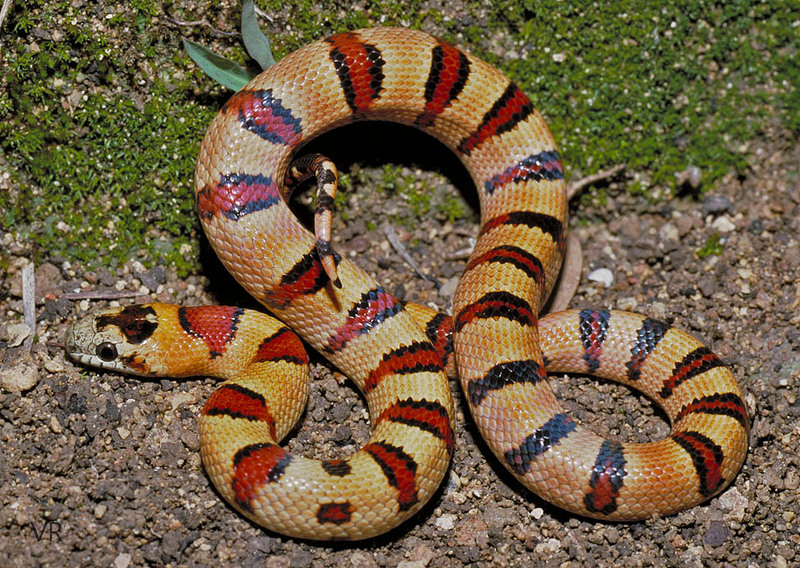 Until rather recently, aberrant Variable Kingsnakes were unusual. I suspect that the higher number of aberrant individuals available today is due to the inbreeding of this species and the fact that hobbyist demand unerringly gravitates toward the new and bizarre. Normally, thayeri are a species that are not prone to pattern inconsistencies or aberrancies.